At Sheriva, we are masters in the art of creating lasting memories with you. Our efficient Concierge Privé team will help you plan the perfect itinerary. From our onsite Games Lounge – with foosball, air hockey, retro Pac Man video game, table tennis and the adorable Tiny Tots corner – to lunching on offshore cays, kayaking, coastal tours by speedboat or sailboat, visiting the Heritage Museum, golfing or horseback riding, hiking through nature trails, swimming with dolphins, spa indulging, beach-hopping (or bar-hopping! 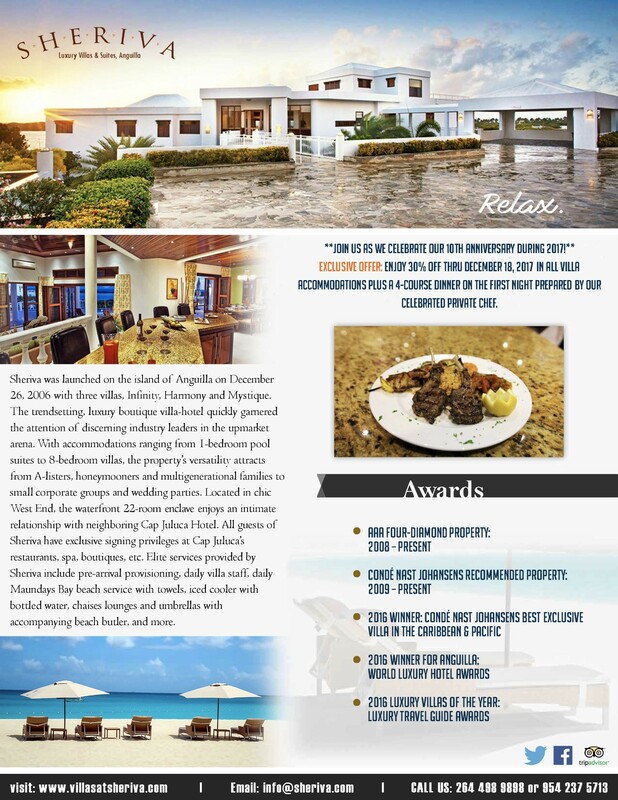 ), Anguilla has lots to do and see with your family.